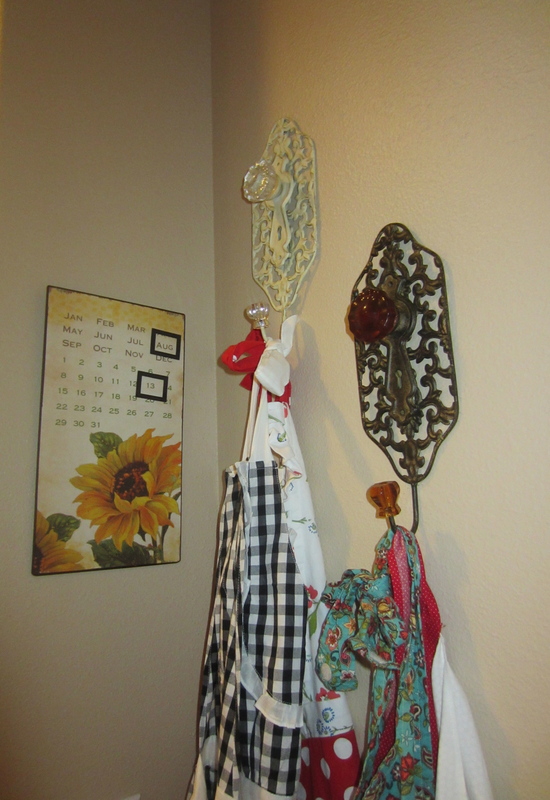 You guys see this corner of my kitchen, the aprons are cute and practical, but lets take a closer look at this little magnetic calendar….August 13th? hmmm Yep definitely a month off (and thats only because a friend moved it for me, I personally have not touched that magnet for at least 5 months). 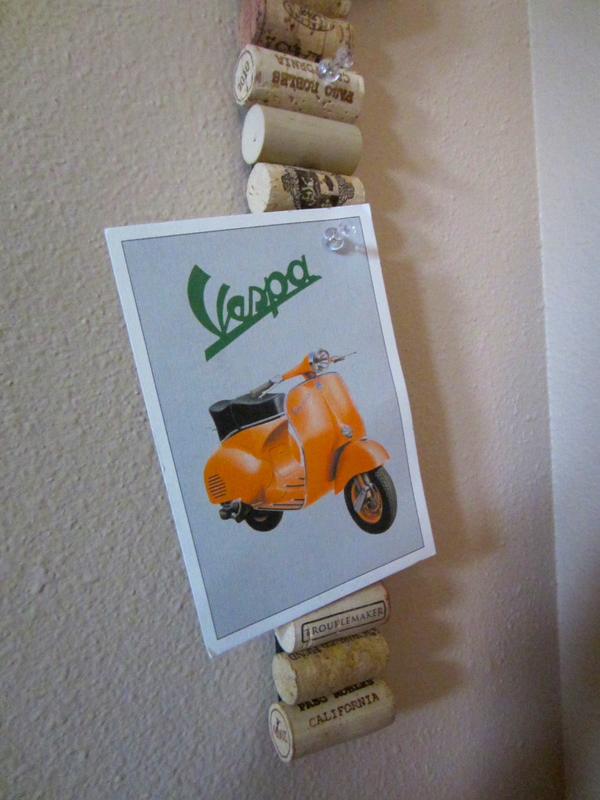 Although cute, not the most practical little calendar- lets zest it up with something that I WILL USE- cork board! But how will we fit such a small cork board in the space? (you ask) a YARD STICK! 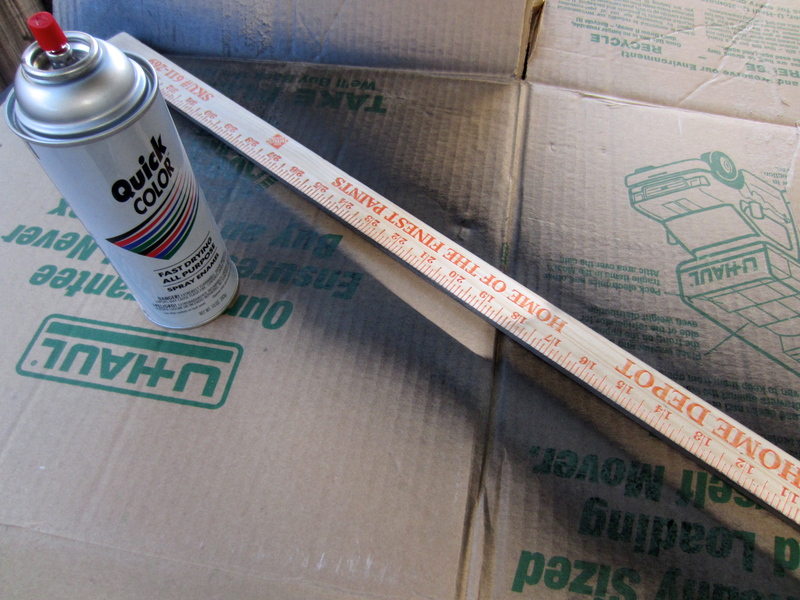 I got my yard stick at home depot for 68 cents- score! I have been collecting wine corks, to be perfectly honest I still didn’t have enough! 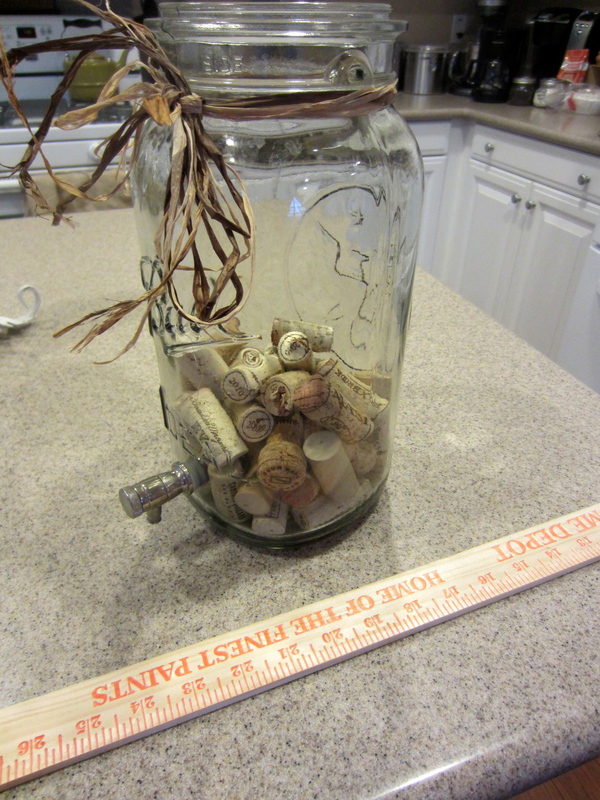 (shout out to Megan and my friend Clayton who graciously gave me more corks). 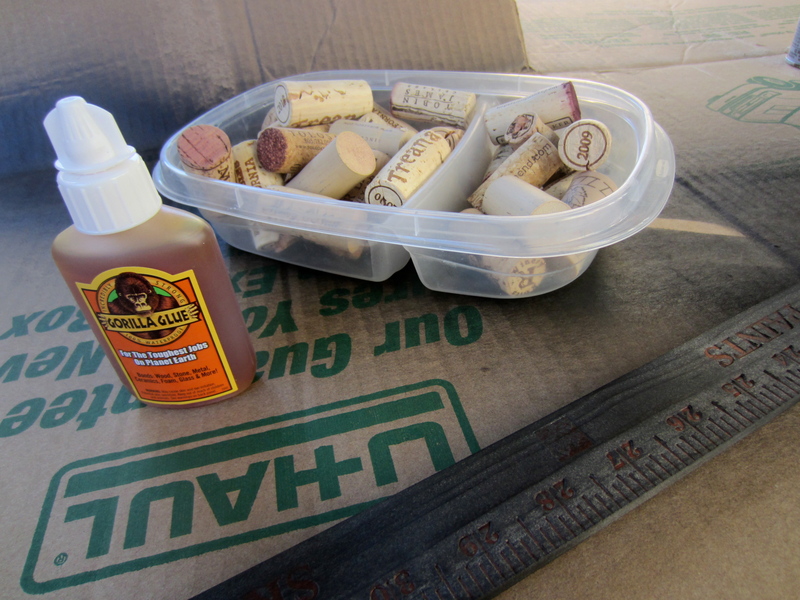 You will need about 40 corks to complete this project (ready to have a wine and cheese party anyone?). Gorilla Glue- here we come! not too much because if you have used gorilla glue before you know that it expands- we don’t want to create a mess to clean up later! Add some weight- how about a book and a shelf? 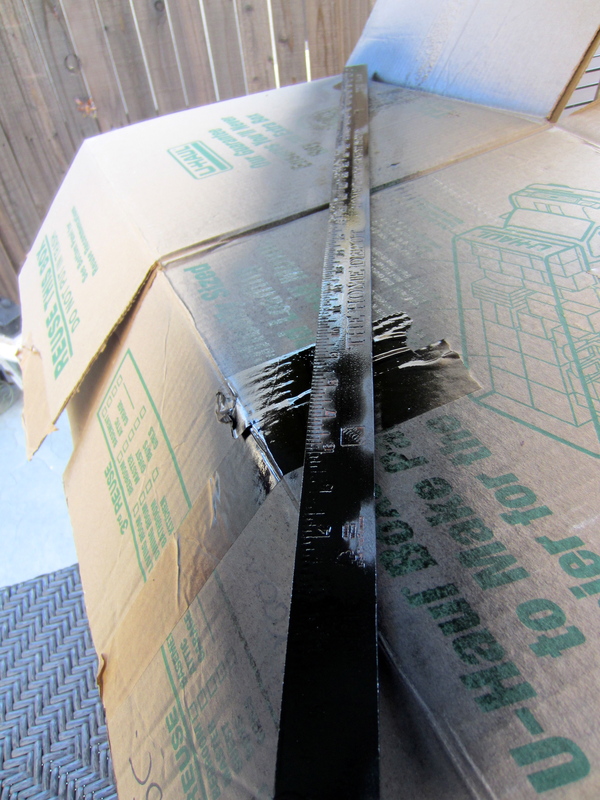 Oh the random treasures laying around in my garage 🙂 heheh I let mine dry overnight…. 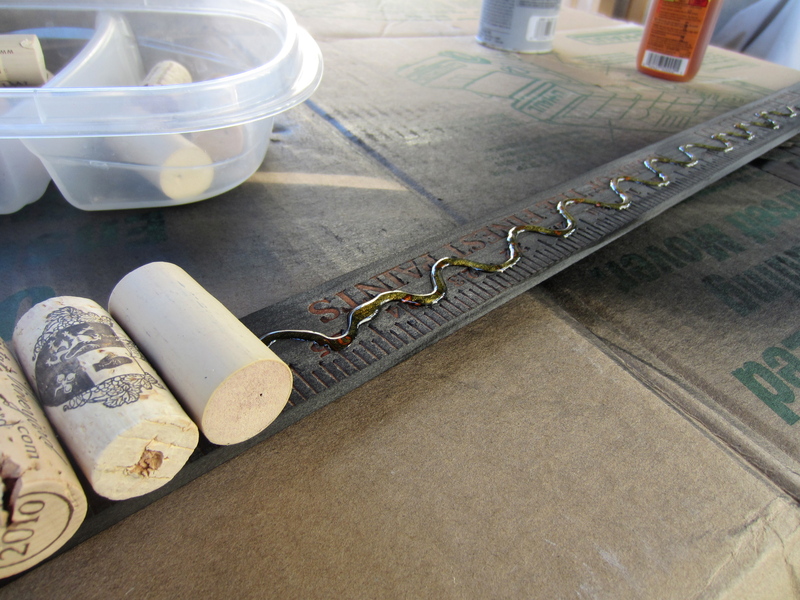 then I added a little loophole with fabric (used hot glue) so I could hang the cork strip…. Wasn’t that a fun and easy fix to my useless kitchen corner? This project would be great hanging horizontal too! Maybe zest up your office, dorm room, pin pictures, grocery lists, menus, just about anything!! !